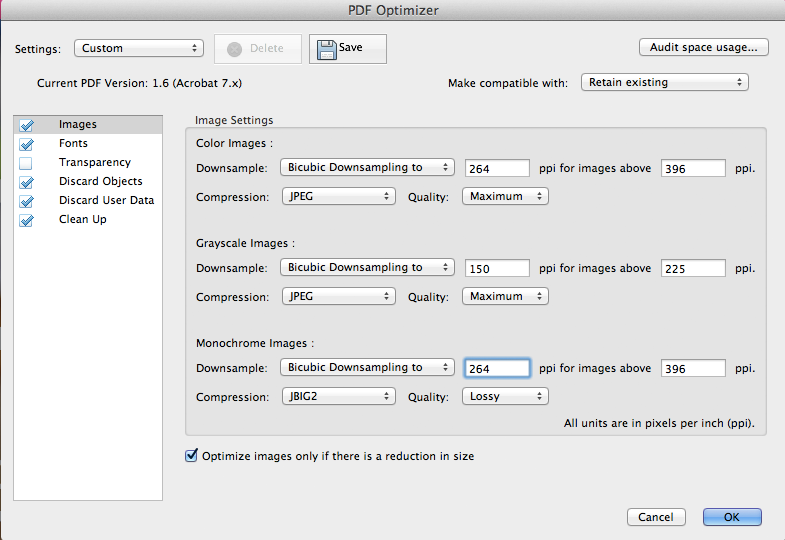 If you already have a PDF artwork, it takes a few minutes to optimize them for your App. Usually print PDF’s are in CMYK format and at least 300 dpi, whereas devices use RGB format and a lower resolution. Also, print PDF’s can contain complex layers and transparency but these can cause problems for some devices. 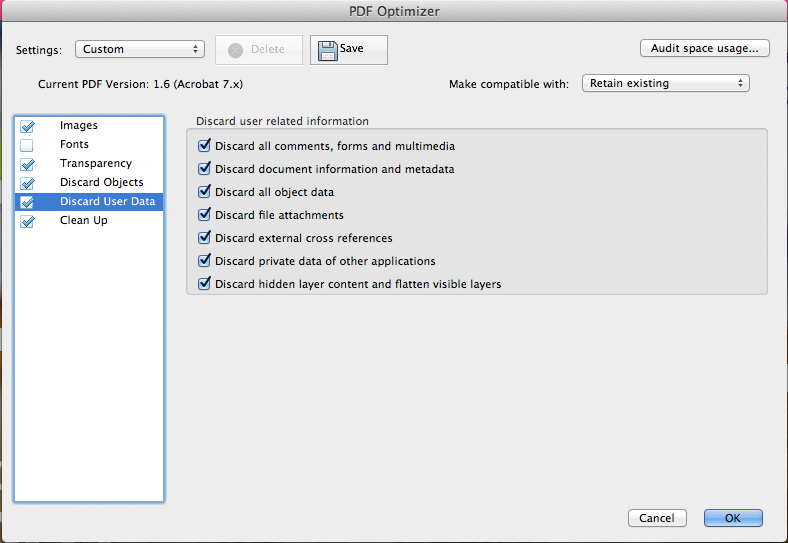 Adobe Acrobat Pro enables you to modify and optimize your PDF’s to suit your App. 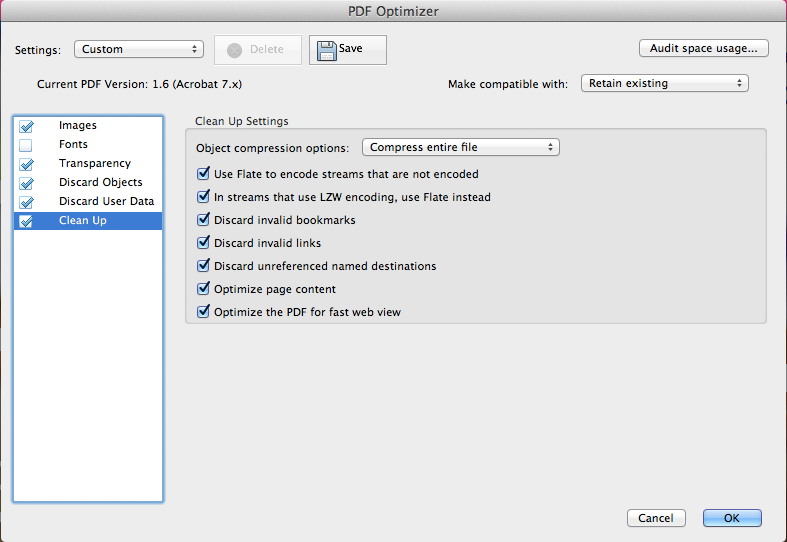 If you are converting an existing print PDF, you may need to edit the document in Adobe Acrobat Pro. 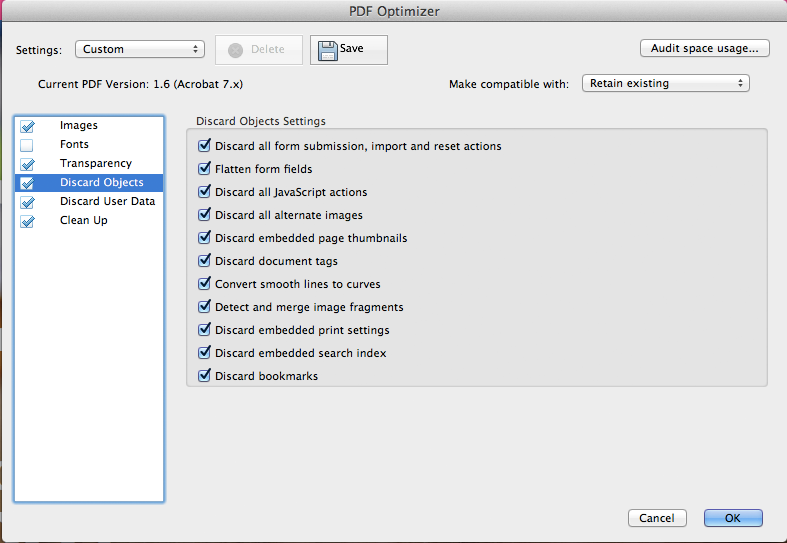 If you have output your PDF from the design software to the required App settings, you will probably not need to optimize. If your document is CMYK, you will need to change it to saturated RGB to ensure the colours display as you would like them to. Use the ‘Preflight ‘option in the Edit menu of Acrobat Pro to active this, you will see ‘Change your document to sRGB’ in the list of PDF Fixups. 2. 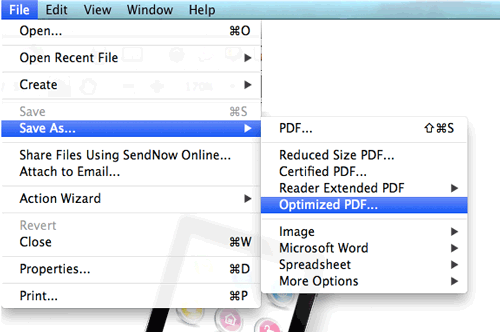 Re-save your PDF as an optimised file. This will reduce the file size, compress images, flatten layers and transparency and make your pages perform smoothly in your App. It will also reduce the downloading time for users who read your editions. 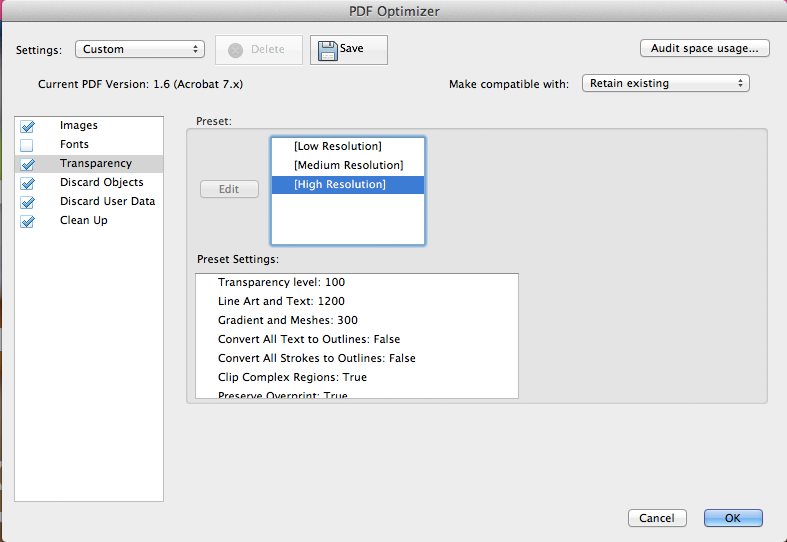 Follow these steps in Acrobat Pro to create an optimised version. ii. Create the settings as per the screenshots below. iii. Click OK, and save file, which is now ready to add interactivity, or upload.